The accident resulted in injury to six persons even as four coaches of the train were derailed. According to the CRS report, the speed of the train was 14kmph when the accident took place. 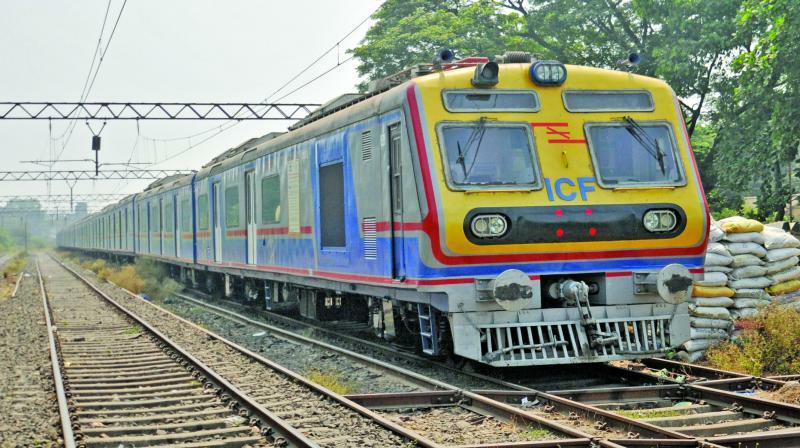 Mumbai: The commissioner of railway safety (CRS) of the western circle has concluded that the 9.25 am CSMT-Andheri suburban local train on August 25, 2017, met with an accident at Mahim railway station due to the wrong route taken by the wheels of coach number 1059A on point. This coach was marshaled sixth from the driving coach. A Right to Information (RTI) query revealed this information. The accident resulted in injury to six persons even as four coaches of the train were derailed. The CRS also pointed out that the wrong route was taken by the leading bogey of the sixth coach due to an excessive gap between the left side stock rail and tongue rail of point 115 in reverse position, and the worn-out root radius coupled with the sharp edge on the periphery of the leading left wheel of the leading bogey of this coach. According to the CRS report, the speed of the train was 14kmph when the accident took place. The damage was valued at Rs 6,61,120. According to the report, the primary responsibility was that of the senior section engineer for signal (SSE), who had carried out a quarterly maintenance schedule of point 115 on August 23. The SSE (signal) and SSE (pathway) had carried out a joint inspection of points and crossing 115/116 on August 3. The commissioner of railway safety made a recommendation to avoid such accidents. According to the CRS, the curve no 6 on the down harbour line between King’s Circle and Mahim is partly under CR jurisdiction while a major portion is under the Western Railway (WR) jurisdiction. This curve should be maintained by either CR or WR. The geometry of this curve should be immediately improved.